Hay Festival is one of the most important cultural events of the year. Turning Hay-on-Wye into a bustling celebration of art and science, the festival brings visitors from all over the world. 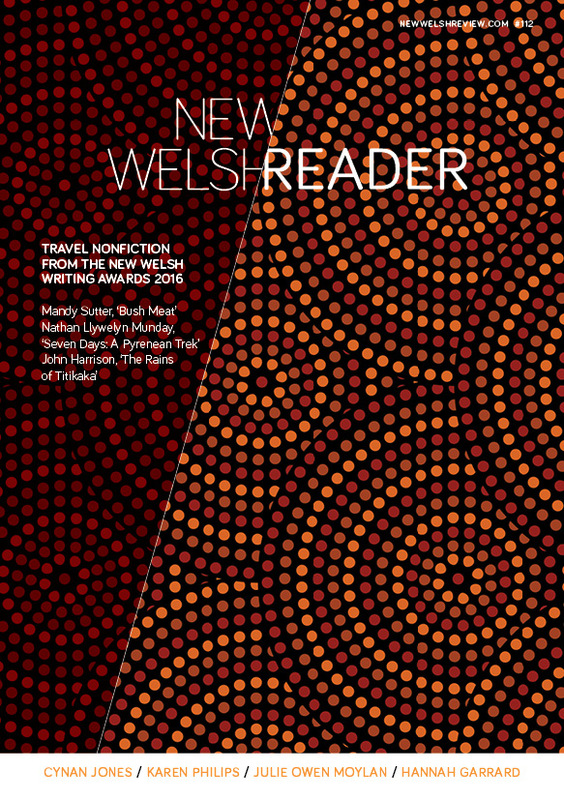 My mum and I were lucky enough to find accommodation for the full ten days of the festival, and these blogs for New Welsh Review will document our antics and the events we see. We arrived at Red Lion Hotel, Bredwardine on Thursday 21 May. For the rest of the year it is a popular fishing hotel, but festival-goers somewhat take over. Apparently we had displaced a regular guest from his usual room for the first time in thirty years. He was not happy. It’s a lovely place, but I have gained far too much fishing knowledge through osmosis when sitting in the bar. Saturday was our first big day at the festival. We arrived in the morning and got the iconic Telegraph bag which seems to be an unspoken rule. Our first talk was one of Mum’s choices, How to Clone a Mammoth by Beth Shapiro. I was in absolute awe. She was a brilliant and engaging speaker: I’ve never been in such an attentive audience. Shapiro not only discussed the near impossibility of cloning extinct species (cue photograph of crying child on the screen behind her), but also the moral implications. There isn’t really a good reason for bringing mammoths back, but there are many positives for advancing this field of science to selectively use extinct animal traits to help currently endangered species. It was a fantastic first event, and will definitely be a highlight of our Hay trip. The festival site became incredibly busy after we emerged from the Good Energy Stage. We last came here in 2012, a year remembered as a complete washout. Saturday, however, had beautiful weather. We enjoyed an hour in one of the shady picnic tents before seeing Edith Hall’s Introducing the Ancient Greeks in which she talked about what the Greeks did for us. In short: pretty much everything. It was great to hear about Demetrius and his intellectual exploration to Anglesey and the religious rituals of Wales. Our final Saturday event was in the evening, so we had dinner on-site in the Relish restaurant beforehand. We went to a panel with Irvine Welsh, Andrew O’Hagan and John Mullan discussing Fictions: The Strange Case of Dr Jekyll and Mr Hyde. The book is being added to the GCSE English syllabus, and the panel argued the benefits and difficulties of studying it as a teenager, as well as how Stevenson’s text continues to resonate with modern readers. I am interested in graphic novel research, so I was particularly excited by Welsh’s idea that the duality between Jekyll and Hyde formed the foundations for the comic-book alter-ego trope. The festival doesn’t offer anything for adult readers of comics but perhaps by bringing the medium into current discussions it may influence event planning for the future. With the good weather holding on Sunday, we went into town to visit the famous Cinema Bookshop. I forgot just how creaky the floorboards are in there. The town was thriving and full of live music, food stalls and expensive cars parked rather precariously in the busy main streets. If anyone is planning to come to the festival later in the week, make sure you take plenty of money out because the queues at the town’s banks are rather long. The whole town has such a fantastic atmosphere, however, that even waiting fifteen minutes at the cash machine is time spent chatting to people about the festival. The first few days have been fantastic if slightly busier than we expected. In the next couple of days I’ll be seeing Anne Enright and Gillian Clarke which I’m looking forward to. Look out for another Hay blog soon. previous blog: Is 'How the Light' Hay Festival's Edinburgh Fringe? 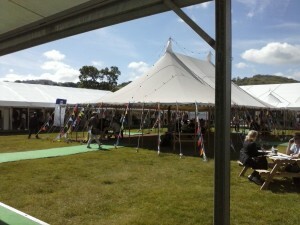 next blog: Hay Festival: Needs More Variety?